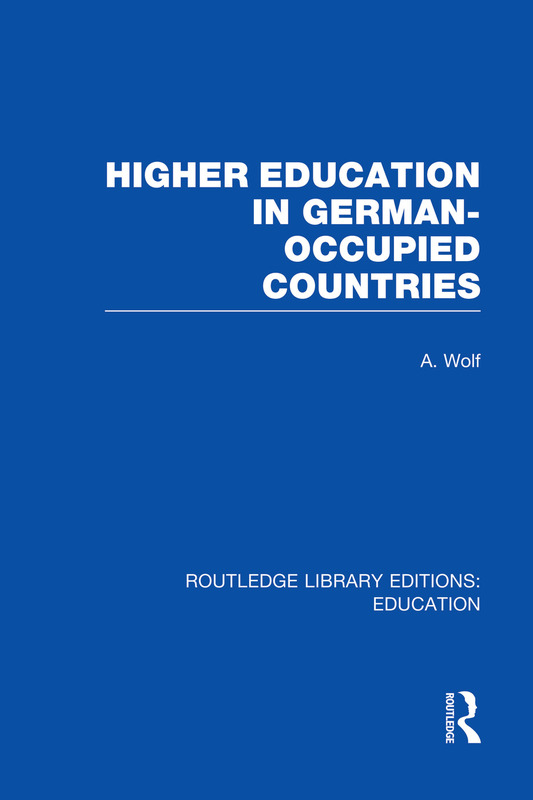 This book gives a comprehensive account of what happened to higher education in Austria, Belgium, the former Czechoslovakia, Denmark, France, Greece, Holland, Italy, Luxembourg, Norway, Poland, Russia and the former Yugoslavia during 1938-1944. It reveals the mentality of the German cultural experts and it describes the reactions of the peoples in the occupied countries. Preface. 1 Introduction. 2 Austria. 3 Belgium. 4 Czechoslovakia. 5 Denmark. 6 France 7 Greece. 8 Holland. 9 Italy. 10 Luxembourg. 11 Norway. 12 Poland. 13 Russia. 14 Yugoslavia. 15 Concluding Reflections. Notes. Index.